Home » Men news » Bronze medal for Udrys! 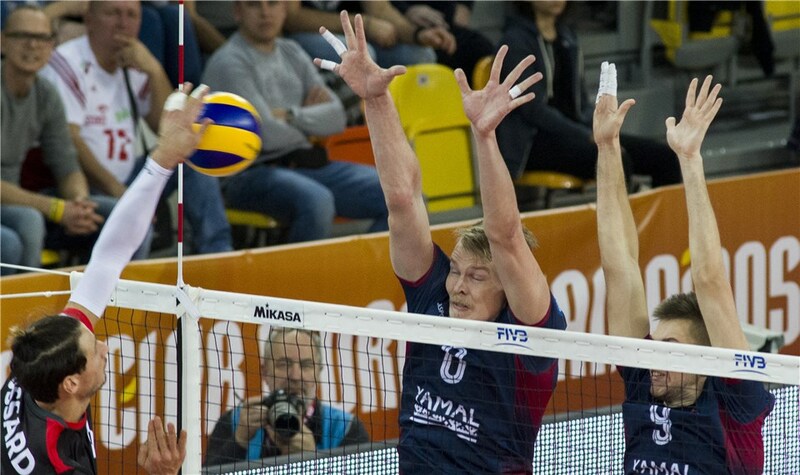 It is the first time since 2012 that a Russian representative is not amongst the top two, but Fakel secured the country’s ninth medal in the history of the competition, after a gold, two silver and two bronze by Zenit Kazan, a gold by Belogorie Belgorod and a silver each by CSKA Moscow (as USSR) and Lokomotiv Novosibirsk. When the final count was in Rossard emerged top scorer of the game on 17 points, but Fakel was better balanced with 15 from Artur Udrys, 13 from Volkov and 10 from Kliuka.